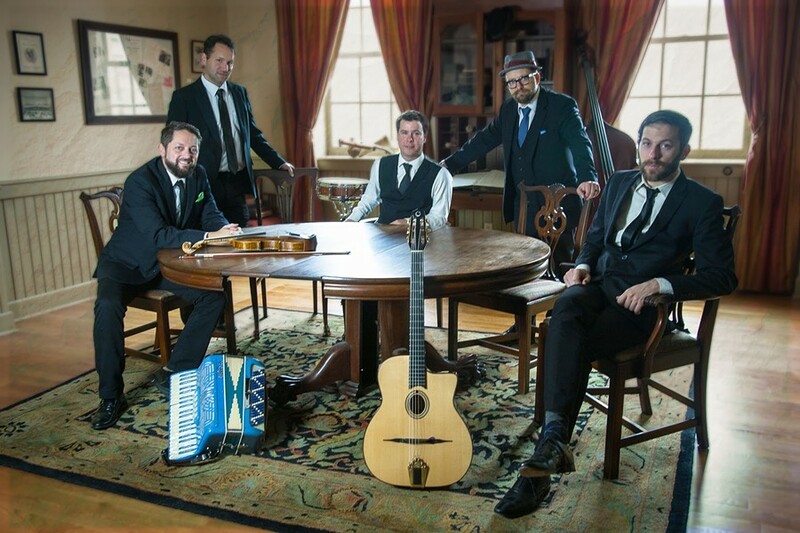 Local Gypsy Jazz and Latin Swing band Velvet Caravan will headline the Lucas Theatre for the Arts on Friday, September 14 at 7:30 pm in a special show brought to you by Savannah Stopover. Tix go on sale today, July 18, at noon to members of Velvet Caravan’s mailing list or Savannah Stopover Music Festival’s mailing list. General public tix go on sale July 20. Tix are via Savannah Box Office with tiered pricing at $25, $35 or $45. Recent Velvet Caravan performances include South By Southwest Music Festival, Rochester International Jazz Festival, The Iridium Club in New York, Word Cafe in Philadelphia, NPR’s Latino USA as well as appearance with the Savannah, Hilton Head and Jackson, TN Philharmonic and Symphony Orchestras. Locally they have appeared at the Savannah Jazz Festival, Revival Fest, Savannah Stopover Music Festival well as the grand finale event for the 2018 Savannah Music Festival. Jazz vocalist Annie Sellick will join the band and Atlanta’s Balkan band Mercury Orkestar will open the night.